Wanted posters are mostly used by the police to initiate a widespread search for an absconding criminal, but there are funny wanted posters. It could be a We Want You Poster to welcome a buddy in the friend circle or in some cases these are plain wanted posters- with the picture of the person and amusing lines to indicate his crime with jest. 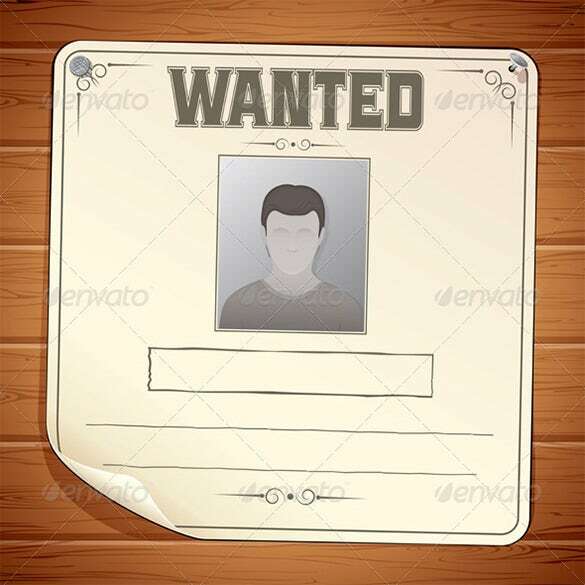 The vector EPS funny wanted poster template is a simple looking wanted poster template. Just add a funny picture, add a funny caption to the poster and the template is ready. 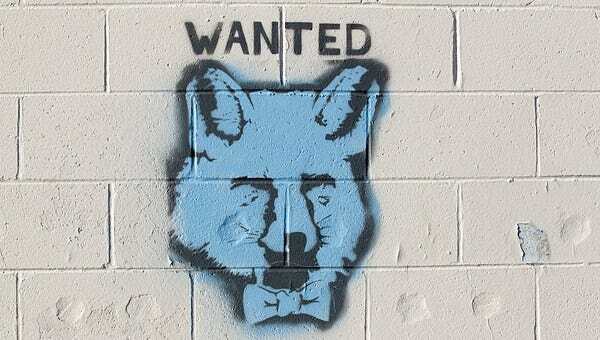 The funny animal wanted poster template is used to mock friends and family. Just use a picture of an animal which resembles the friend and makes fun of him or her. 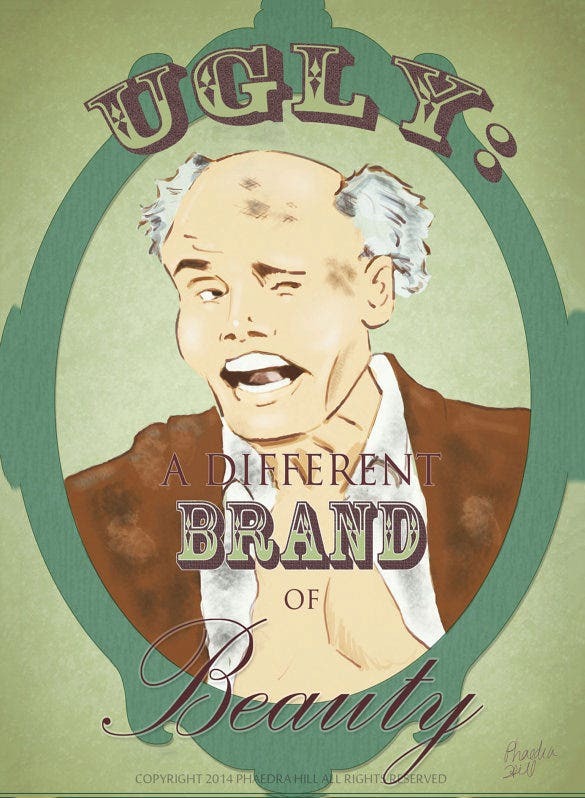 The Marshall funny wanted poster template is a simple wanted poster template that uses an ugly looking picture of the person and add a contrasting quote to make it funny. The funny cat wanted poster uses a wanted poster template that looks tattered. Just add a picture of a funny looking cat, add an ironic quote and the poster template is ready. 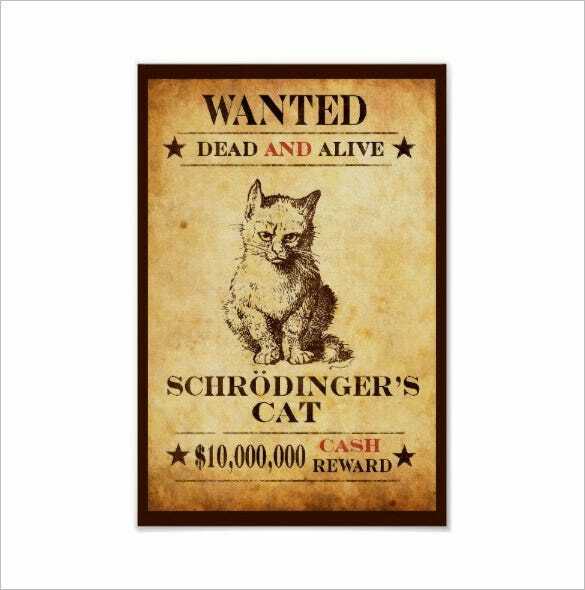 The funny poster of schrodinger’s cat poster template is a funny wanted poster template that mocks the schrodinger’s cat experiment by using a funny looking cat picture in the old looking wanted poster. 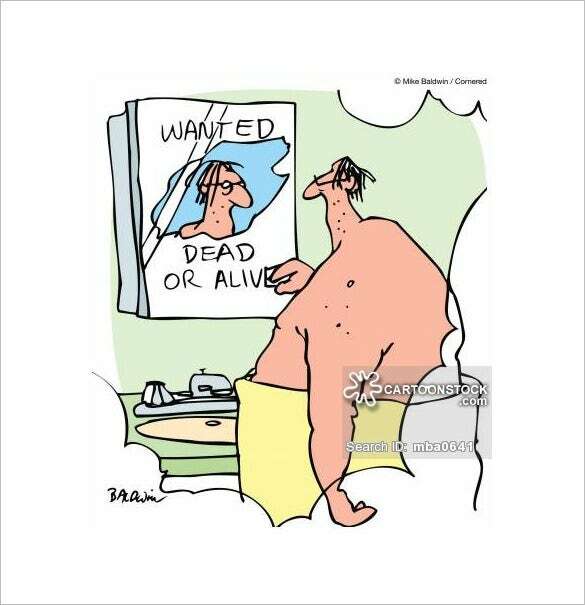 The cartoon funny wanted poster template is a really hilarious wanted poster template that shows a fat person with a weird looking thin face looking at the mirror with wanted written on it. 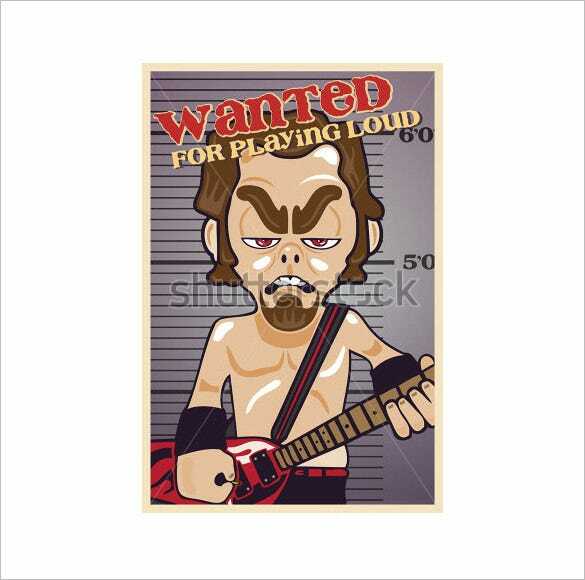 Funny Guitar Player Wanted Poster template is a completely editable vector illustration, which you can as a funny replica of all the guitar players who play the guitar very loudly. And that the poster represent them wanted for doing so. 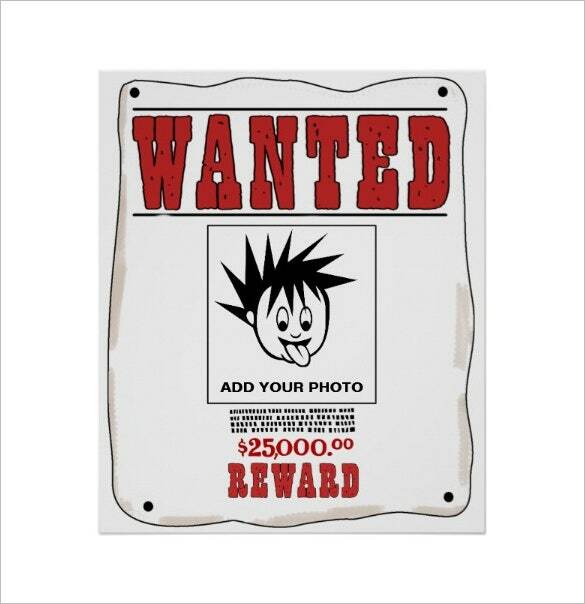 Funny Custom Wanted Poster Template is a smooth surface and matte finish. The sizes range from 4 x 6 inches of 600 pixels x 900 pixels up to 24 x 36 inches of 3600 pixels x 5400 pixels. It is fully editable; You can add your image and comes with clean sharp images with beautiful colours of your choice. 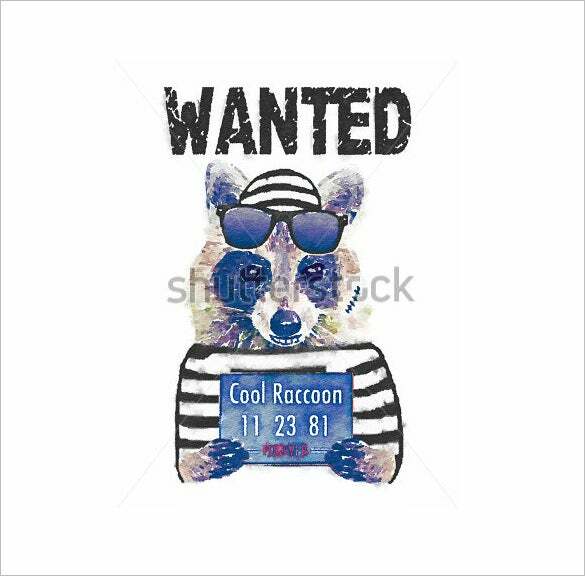 Lady Dog Funny Wanted Poster template displays a Diva woman dog with sunglasses and red scarf posing for a mugshot. It has various sizes from extra small 480 pixels x 480 pixels to maximum 7671 pixels x 7669 pixels with 300 DPI. 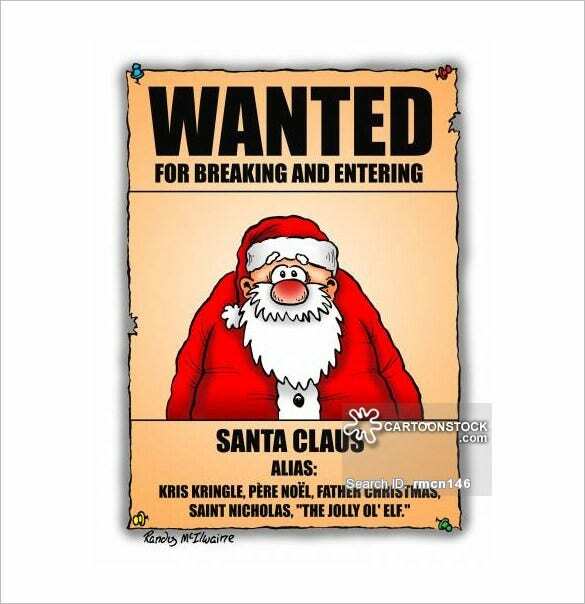 Funny Santa Claus Wanted Poster depicts Santa Claus is the wanted person for breaking into houses at night and entering them without taking permission during Christmas. In this poster his many other names are also mentioned to make it easy to find him. 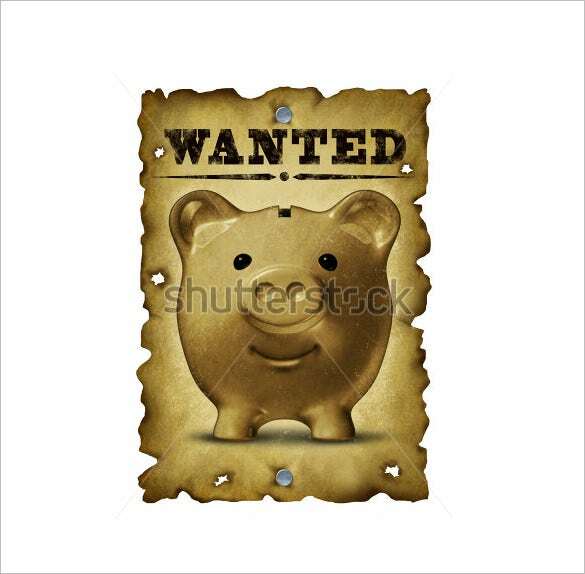 Funny Savings Wanted Poster Template is of the portrait of a classic piggy bank, which symbolizes home finances and in search for success in finance. The poster designed in old grunge vintage western wanted poster that has bullet holes makes a funny poster. 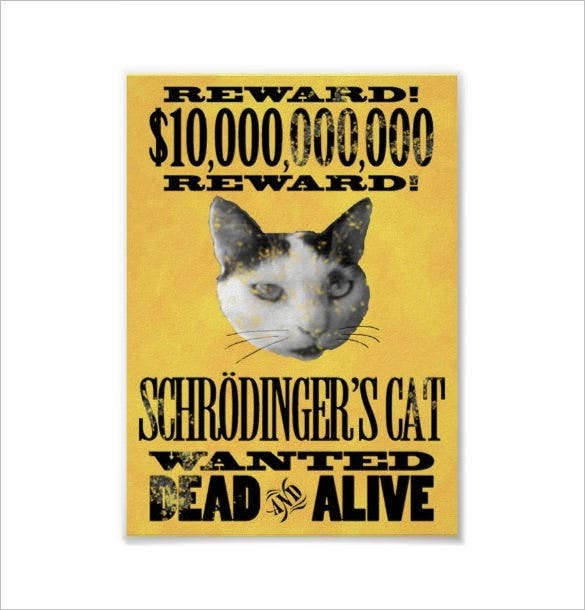 Schrodinger’s Cat Funny Wanted Posters is the cat image of the scientist Schrodinger, who is gone missing while experimenting a science project. Here, is the funny wanted dead or alive poster of that feline. It is of smooth surface with matte finish. 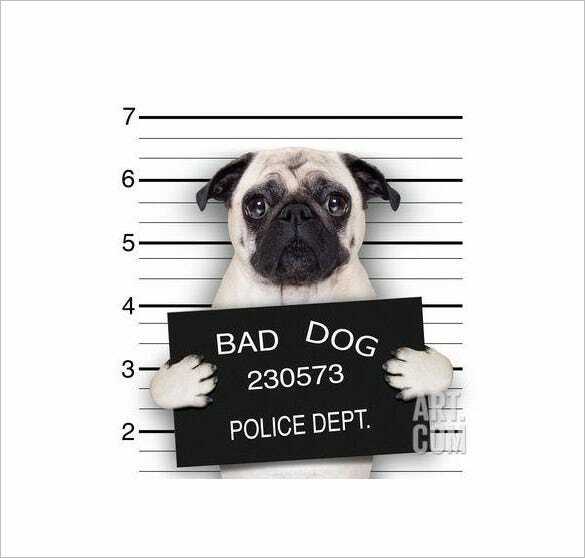 Mugshot Dog Funny Wanted Poster Template depicts a cute sad faced pug dog posing for a mugshot wanted for being a bad dog. It is available from extra small size of 480 x 480 pixels up to TIFF size of 7671 x 7669 pixels. 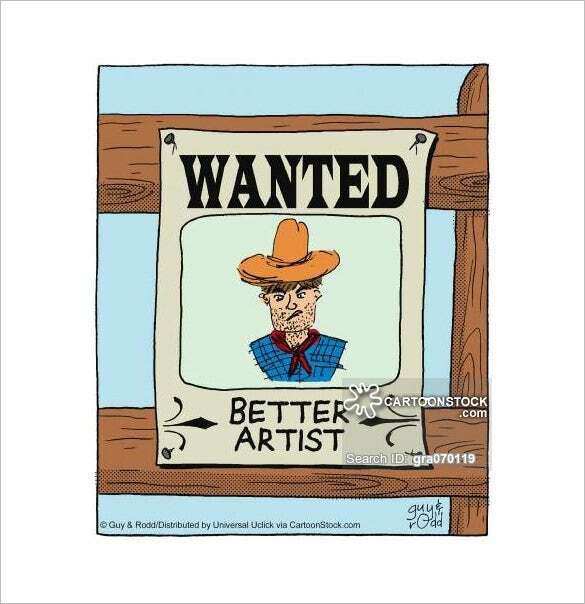 Artist Funny Wanted Poster Template is that of the mugshot of an old Wild West cowboy wanted funny cartoon poster, looking for a better artist. The poster dimensions are high-resolution 1900 pixels x 2269 pixels. This poster comes without watermark.